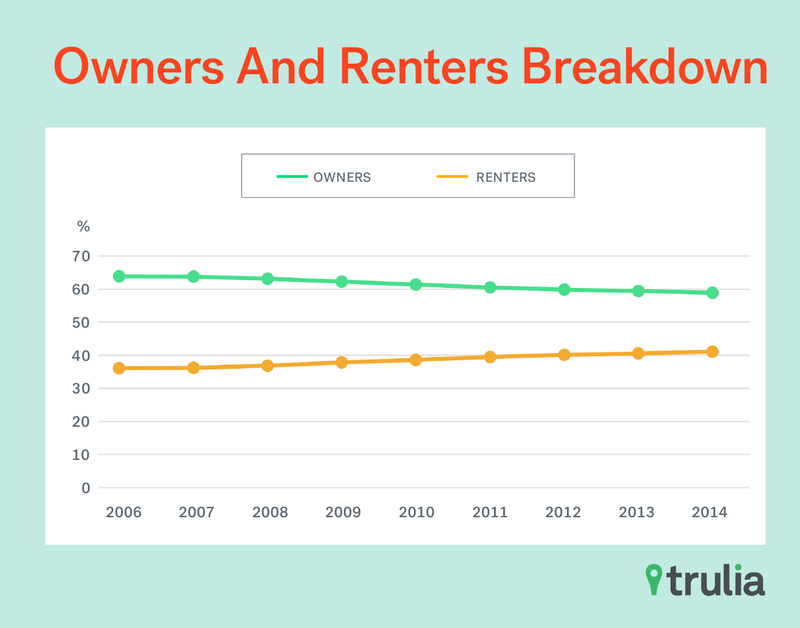 Trulia recently reported the shift in homeowners to renters, a phenomenon that has shifted the real estate market substantially since the housing market crash. According to American Community Survey data, between 2006 and 2014, the amount of renters increased 5 percent to 43.3 percent. Among those that were significantly impacted, older millennials, Hispanic households and the upper-middle class and wealthy most prominently shifted from being owners to renters. 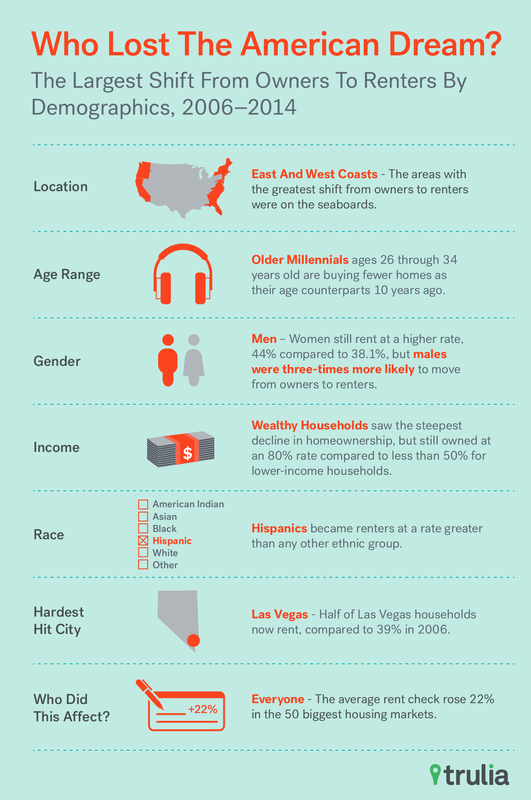 Each metro has a different shift in renters. In Houston, a reported 40.9 percent of its population were renters in 2014, which was a 4.2 percent increase over 2006. Rents have substantially increased in Houston, but that didn’t stop renters. The median rent in 2006 was $732 and in 2014 it was $912. That makes for a 24.6 percent change in rental prices.